Mr Nutcase produce personalised mobile phone and tablet covers to any design of your choice, be it one of their instantly available designs, a design of your own or by adding your own photo. Even the readily available colours and patterns can be additionally customised with clip art and text. You really can make a truly unique case. I decided to surprise my husband with a new phone cover and with him having an iPhone I had the choice of an Ultra Lightweight Slimline case or an Executive Flip Leather Style. I would have liked to get the leather style case for him but on these only one side is printed and the other is plain white which I feel isn’t really suited to him and not a particularly manly choice. If they had the same option in black then I would definitely have gone for this – hopefully this option will become available in the future. 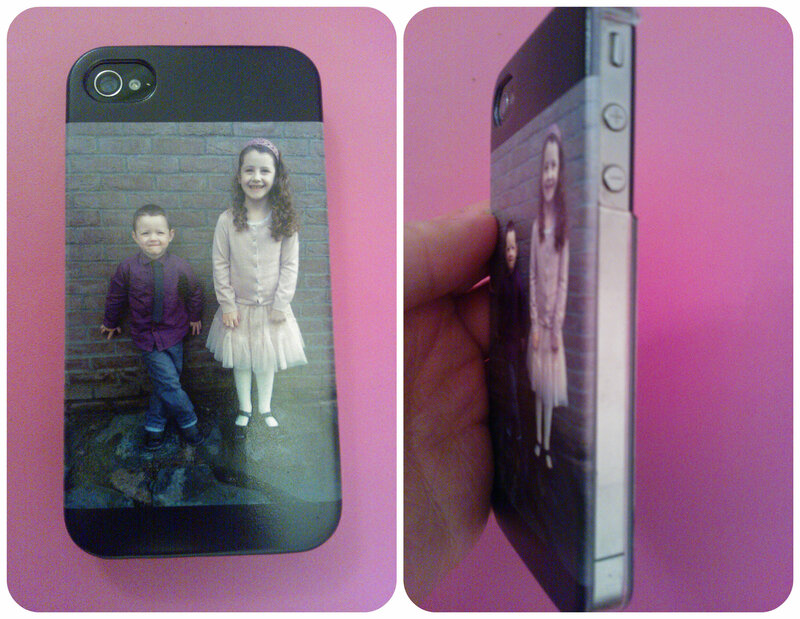 So I went with the Ultra Lightweight Slimline case and chose a photograph of our children to go on the back. I could then customise the colour to go either side of the picture and add any text clip art I wanted. I decided to keep things simple and went with just one large picture. I must point out that you can create a picture collage on the cover using one of the many varieties of collage templates they offer. The choice is excellent. We are very happy with the Mr Nutcase phone cover, the delivery service was excellent, the availability of design and customisation is great and the finished product is of a good quality. I’d definitely use Mr Nutcase again for a personalised cover. All reviews are my own and my family’s opinions and we received the phone case in order to write the review. This entry was posted in Reviews and tagged covers, ipad, iphone, Mr Nutcase, personalised, phone cover, photo, picture by Fiona Martin. Bookmark the permalink. we love personalised cover. they always look great! Ah, what a fab surprise for your husband, it is a great looking case. They are good cases aren’t they though I agree about the choice of colour for the leather ones. Love the photo you have chosen! Erin recently posted…Review: Mr. Nutcase Personalized Phone Case – With photos of my favourite nuts! I love the picture and it looks great on your phone, I loved my case too and will defiantly recommend them.